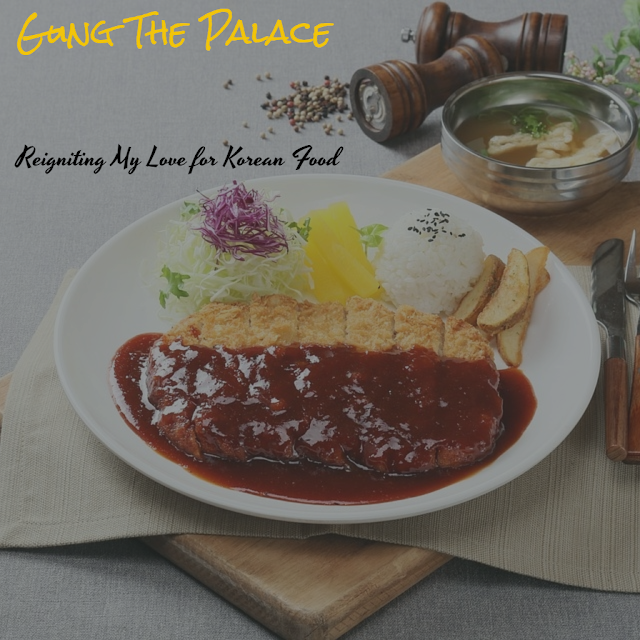 In this blog post, I cover Gung The Palace, a casual dining restaurant in Sector 29, Gurgaon. My love for authentic Korean cuisine is eternal. 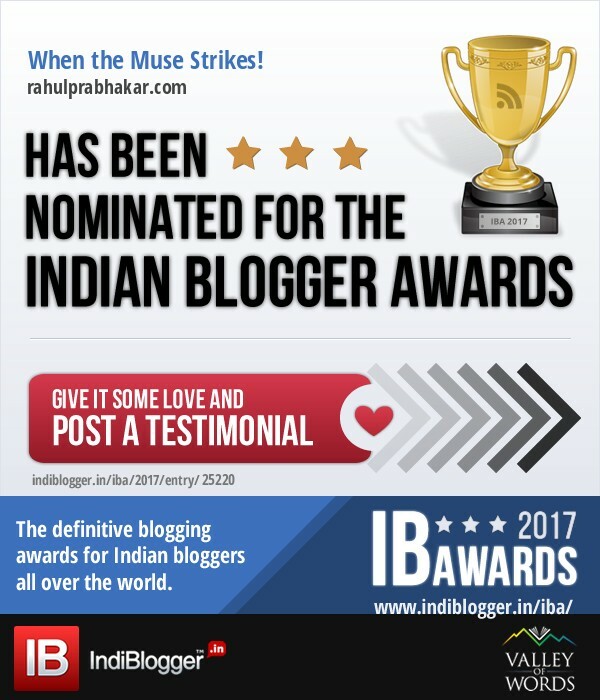 After relocating from Seoul in 2012, I was utterly disappointed to discover that there wasn't much effort put in by any Indian restaurateur to promote Korean cuisine across the country. It was around the same time that I'd discovered Gung The Palace, a casual dining restaurant in Sector 29 Gurgaon - hailed as a one-stop-shop for all my favorite Korean food and drinks like the Kimchi fried rice (Bokkeumbap), spicy stir-fried octopus (Nakji Bokkeum), Ginseng chicken soup (Samgye-tang), mung bean pancake (Bindae-tteok), dried seaweed roll (Gimbap), Korean wine (Soju), and many more. It truly felt like a blessing in disguise, and the one person who needs to be thanked for making this dream come true is none other than the owner of Gung, Kim Jin Bum, a Korean national who made India his second home in 2005. Unlike other expats who visit India for a short duration, Jin was always slated for long innings. After studying law in Korea, Jin enrolled for an Economics course at the Ramjas College of the University of Delhi. He later pursued MBA at the Jamia Millia Islamia, a public central university in Delhi. Jin has always been extremely passionate about the Korean food and it is his perpetual endeavor to ensure that each guest at Gung experiences Korean cuisine and hospitality at its finest. Gung's adventurous journey began in June 2007 and has been one of exploration as well as growth. In order to deliver the best possible culinary experience to his guests, Jin sources every key ingredient directly from Korea, including all special spices and meats that are essential for authentic Korean flavors. 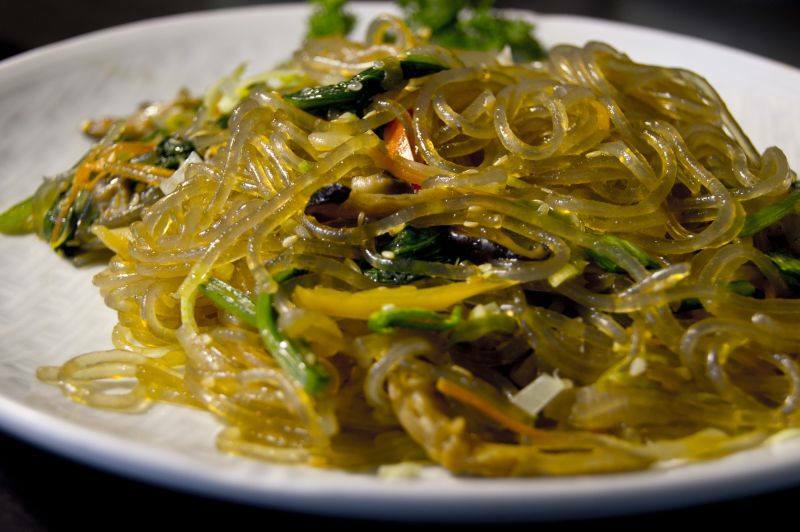 Jin is supported by his mother, Suk Hee Kim, who prepares secret sauce recipes from her home factory in Delhi. The ambitious 2600 sq ft property in Gurgaon makes an impression from the word go! 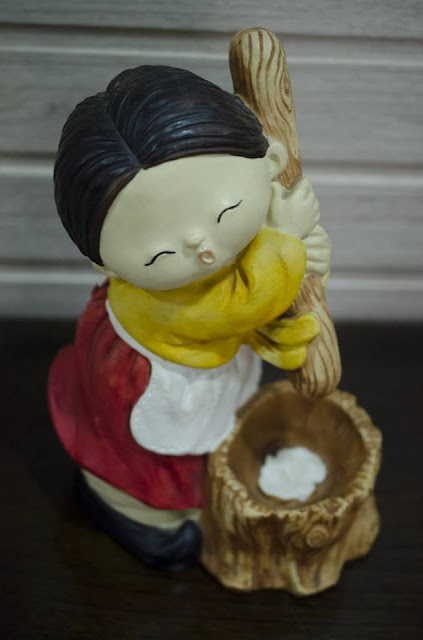 From floor seating to decor, from staff uniforms to Norae Bang (Korean karaoke room), Gung tries its best to pay attention to every minutest detail. The atmosphere is lively and eclectic, with Tatami style rooms that have the most exquisite and beautifully done traditional Korean motifs and patterns everywhere. 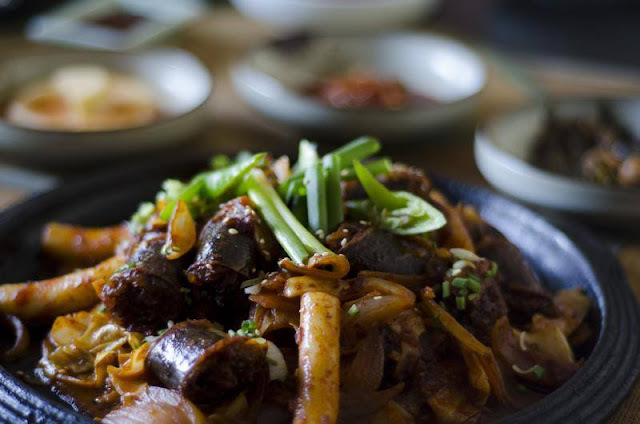 In their quest to deliver the essence of Korea on your table, Gung has introduced tabletop barbecues, tender meats, flavorful vegetables, and fresh seafood, part of the ancient Korean traditions, which Gung strives to uphold even today. Taking the entertainment quotient several notches higher is the inclusion of two soundproof Karaoke rooms and a children's play area. For a person like me who absolutely loves music, that's music to ears. Just in case you love with all things Korean, Gung Gurgaon also features an extension of its gallery in Hauz Khas, where you can browse through Korean knickknacks, artifacts, and furniture. You'll find a reflection of Korea in every dish and an extra dash of modern history in few dishes like the Budae Jjigae which originated in the Korean War of 1950. The main menu is revised every three months; expect a flavorful combination of Gochujang (red chili bean paste), Kimchi, baked beans, meat, sausages, beef, noodles, and American cheese. The Gung menu is divided into multiple sections such as the lunch special, barbecues, stews, casseroles, meat specials, Korean specials, seafood specials, Korean-Chinese, mixed rice, and noodles. This is done so that guests can exactly find what they're looking for. In the mood for some barbecue accompanied by a spicy stew and rice? .... you know exactly where to find them on the menu. 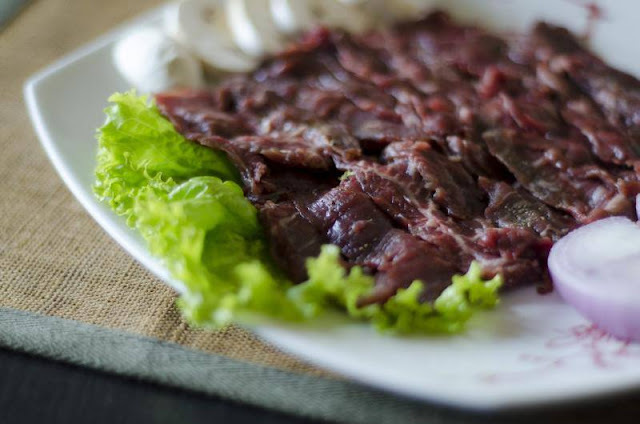 Contrary to popular belief, Gung is neither for non-vegetarians only nor it is prohibitively expensive (as a certain section of media has claimed it to be). The secret mantra lies in your ordering technique though! Some dishes are served in portions for four people and some in portions for one person, depending on the dish. Ask the manager for help while ordering and he'll make sure you have a wonderful time within your budget. Vegetarians can find plenty of options on the menu. Look for the vegetarian/non-vegetarian indicator on the menu and you'll find many dishes that appear to be non-vegetarian but can easily be made 100% vegetarian (without eggs too) if you wish it so. Order a hearty stew that'll stay hot and steaming on your table accompanied by a signature Banchan (Korean vegetable side dishes) served free of cost with every order. Accompany these with grills or individual servings and you'll find yourself gorging on hot and delicious food throughout the evening. Remember to ask for portions of rice with stew if you so desire. A slightly sweet alcoholic beverage native to Korea made from rice or wheat mixed with nuruk, a Korean fermentation starter. Spicy stir-fried chicken ribs (boneless). A new addition to Gung's ever-evolving menu, the charcoal spicy pork BBQ contains thin slices of smoky meat that is both succulent and sweet, with the right note of crisp and puckery. In Chinese, kkan means dry, pung means stir-fry, and gi means chicken. 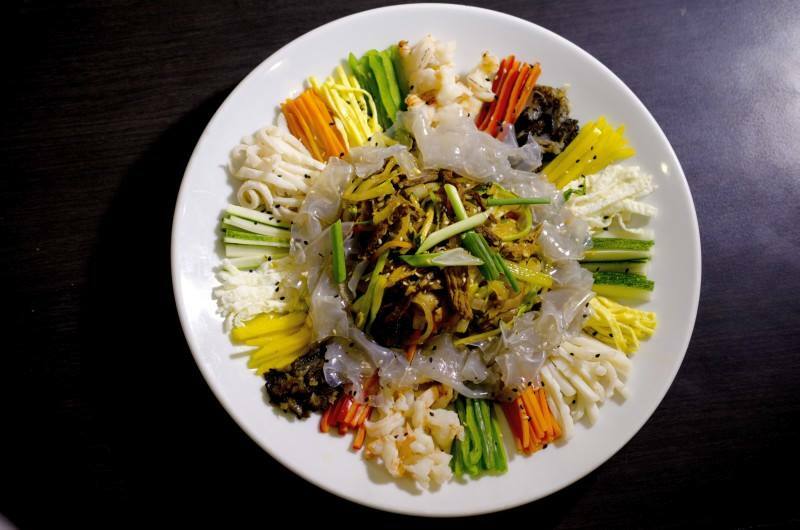 A Korean-Chinese dish which contains deep-fried chicken cooked with vegetables and a sweet-and-sour hot garlic sauce. Open every day from 12 P.M. to 12 A.M., Gung focuses on catering to the needs of Indian customers first. On my way out, I couldn't help but notice the walls that were lined with dozens of newspaper clippings and photographs of Korean celebrities and bureaucrats who've visited Gung in years past. 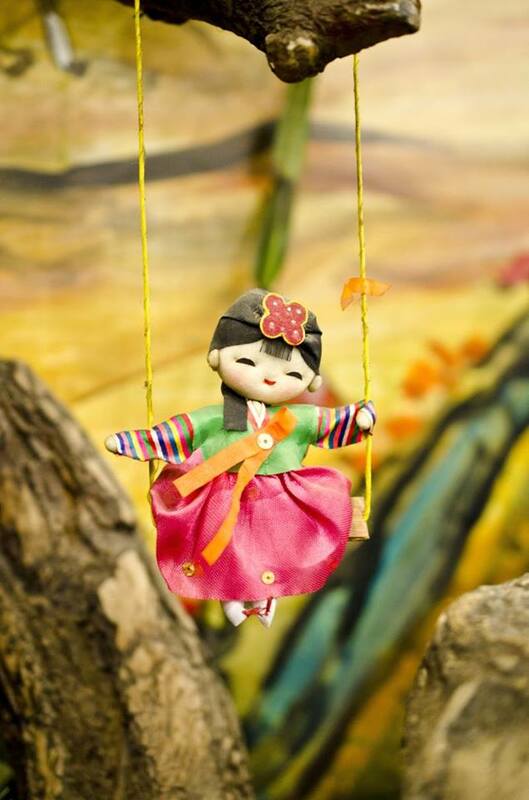 It instantly reminded me of my own most cherished memories from Korea. Thanks to Gung The Palace, I now have a home away from home!